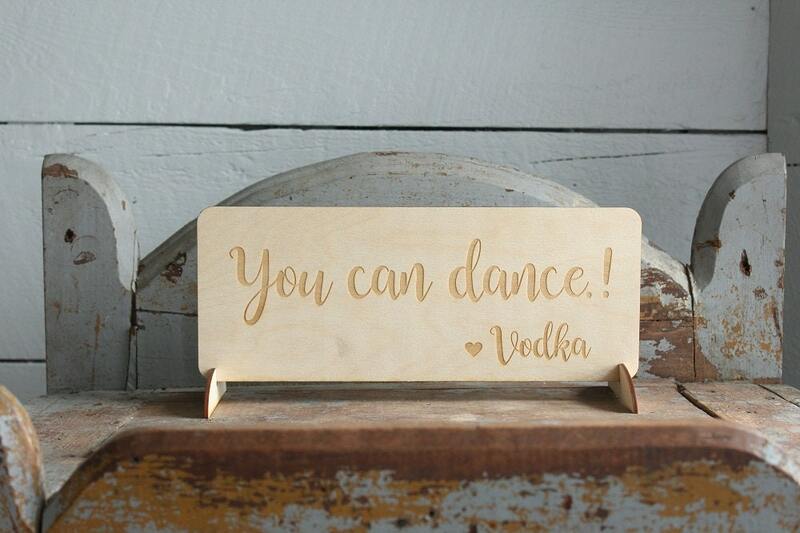 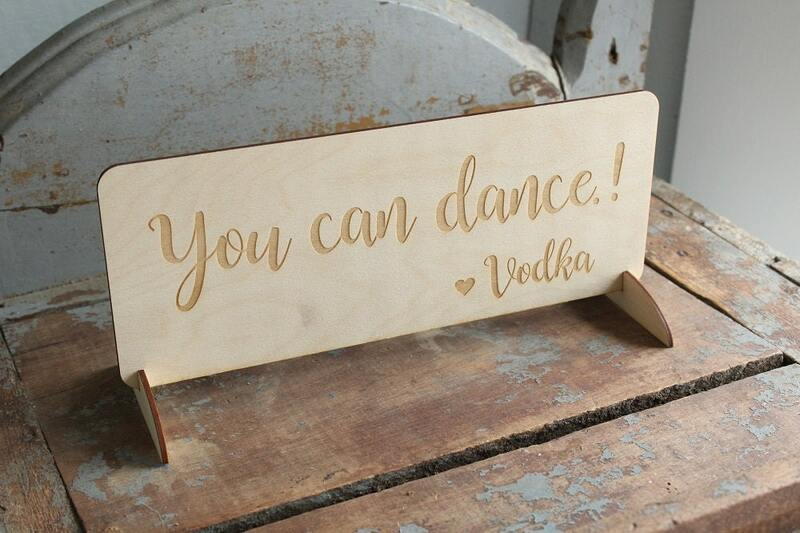 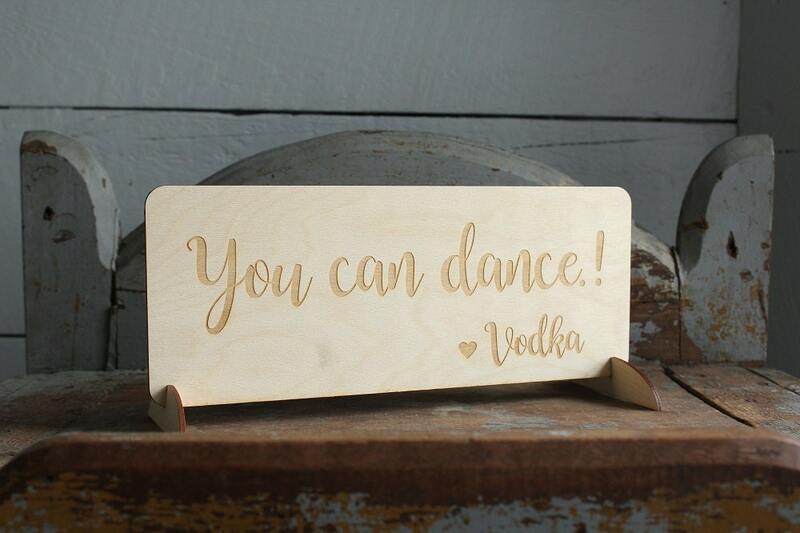 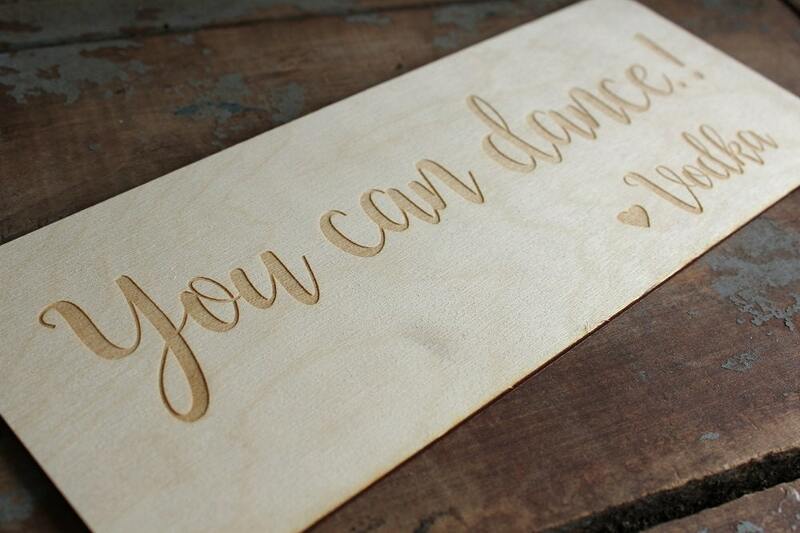 Rustic style laser engraved 'You can dance! 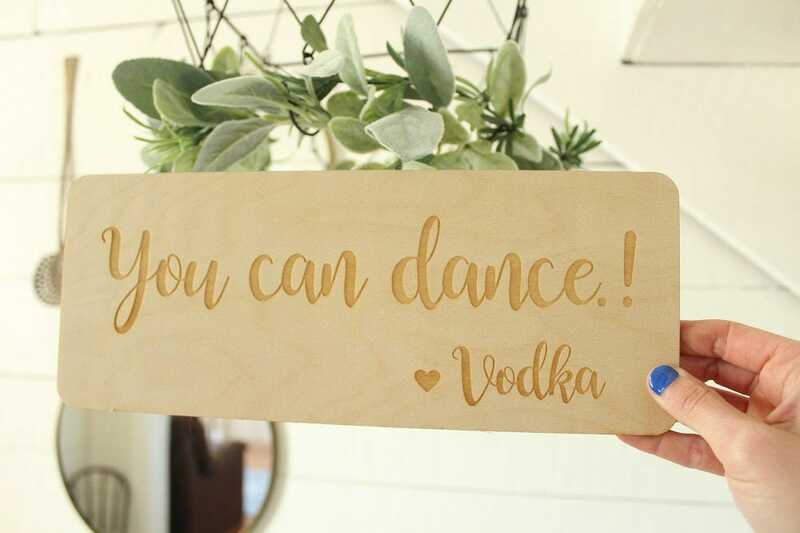 ♥ Vodka' sign. 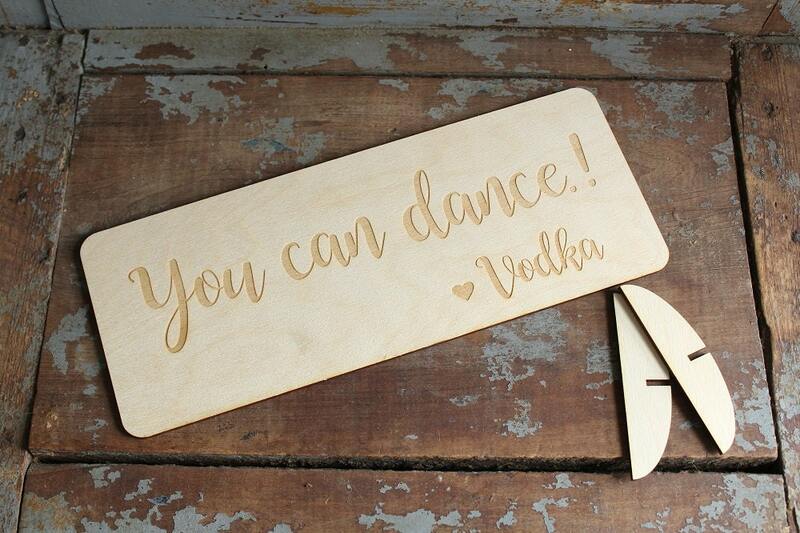 You will receive (1) engraved sign and (2) sign bases.